Was Emma Czornobaj dealt an unfair verdict? Emma Czornobaj, a 25 year old Canadian woman faces the prospect of 25 years behind bars after being found guilty of causing the deaths of a motorcylicst and his daughter. The deaths of the father, Andre Roy, 50, and his daughter Jessie, 16 came as a result of Emma Czornobaj suddenly stopping along the left lane of a highway to rescue ducklings. 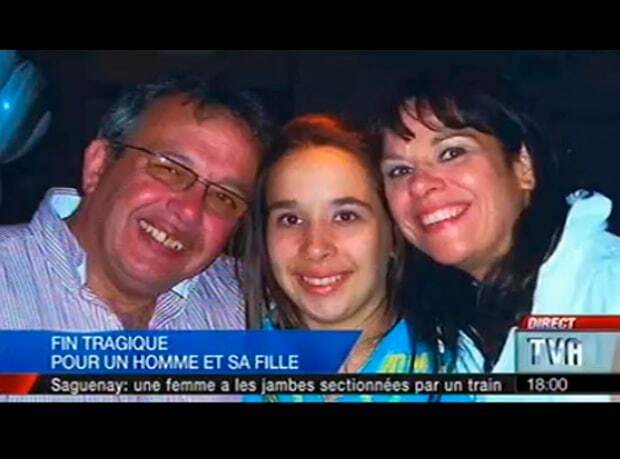 Unable to stop in time the father and daughter would slam into the rear end of the parked car, killing them instantly. Correct sentence? Emma Czornobaj sentenced 90 days jail. Canadas’s highway safety code states that stopping a car or walking on a highway are only allowed in case of ‘necessity,’ although what constitutes a necessity is not defined. Prior to yesterday’s verdict, Czornobaj had in April offered to plead guilty but not if it merited her having to spend time behind bars. The National Post tells a likely guilty plea would have only warranted the financial analyst who had made it on the dean’s list at Concordia’s John Molson School of Business a 3 year jail term sentence. Instead Emma Czornobaj chose to plead not guilty, believing that a court of law would not hold her directly responsible for the cause of death of Roy and his daughter. Nevertheless Quebec Superior Court Justice Eliane Perreault said the 12-member jury voted unanimously to find her guilty. 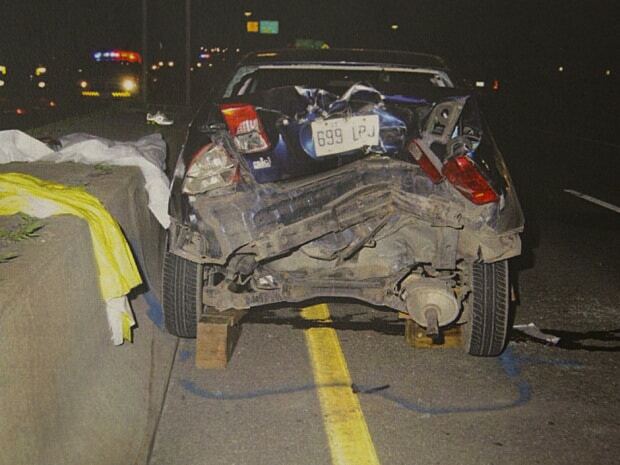 During court proceedings the jury would hear how on June 27, 2010, Emma Czornobaj was driving in her Honda Civic when she suddenly came to stop and park in the left lane of Highway 30 in Candiac, Quebec. At the time Czornobaj had come to park without leaving her hazard lights on as well as leaving her left door open. Driving behind her was Andre Roy and his 16 year old daughter, Jess who was sitting on the back of her father’s Harley-Davidson. The bike would come to slam into Czornobaj’s Honda Civic, killing both father and daughter. Riding behind father and daughter was Pauline Volikakis, Roy’s wife and Jessie’s mother. She would come to witness her husband and daughter thrown in the air as the bike they were riding on slammed into Emma Czornobaj’s parked Honda. Czornobaj, a self-professed animal lover, told the court that she did not see the ducklings’ mother anywhere and planned to capture them and take them home. She had three years driving experience at the time of the accident. Since the rendering of the court’s decision, Czornobaj’s lawyer Marc Labelle has told his client was stunned by the jury’s decision. He said he may now appeal. Czornobaj would leave the courthouse without commenting. In the UK, if you run into the back of someone, regardless of their situation, YOU are guilty of driving without due care and attention! You were traveling too fast to take evasive action; what if they had broken down? The list is virtually endless – the speed and ignorance of some drivers, who are simply ill prepared for the unexpected, caused this crash, at least in part. To sentence this woman to a maximum of life in prison has to be one of the dumbest court rulings ever. Stupid, stupid, legal system and jurors! In the end of the day it is each motorist responsibility to look ahead and beaware of what is in front of them. What if someone had a motor break down. This time it was someone who stopped to help some animals. Maybe she shouldn’t have stopped in the road, but it is everyones own responsibility to not crash in the rear of onother vehicle. If you are driving so fast, and am so unaware of the traffic arround you should park the vehicle. I can not see this is the womans fault. This is not fair. 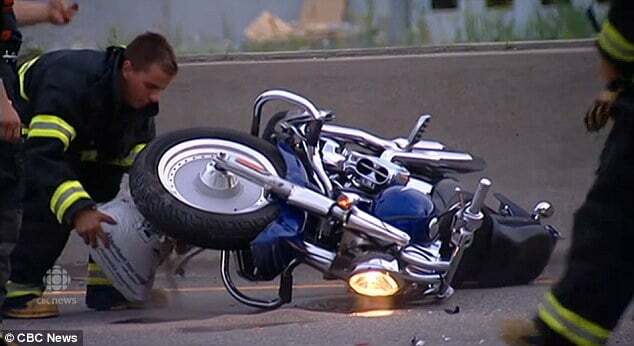 Only one solution would have the motorcyclist still alive and well, that is slowing down, keeping a larger following cushion, and being more keenly aware of what’s going on around him. Did she even have time to put her hazard lights on or was the motorcycle taking excessive risks by traveling too close? Specially with a child in tow? It’s hard to be too harsh on her because she was trying to prevent to death of some young animals on the road, and many people in her position wouild want to do the same. They would stop, swerve, or pull over to the side of the road. However, if she stopped in the middle of the road? Even if the traffic was low holy smokes is that ever reckless. And legally speaking: negligent. So yes, she should be guilty of the charges, but I would lean towards being fairly lenient with any penalty since her actions–while negligent–appeared to have good motivations, and not malicious ones. This is absolutely stupid. The guy on the motorcycle was speeding. Had she had her car parked there because of car trouble he would have hit it just the same. To send someone to prison for this is crazy! Serves her right. How is it morally acceptable to put humans at danger so you can feel like an animal-loving warm fuzzy person? So much of this animal-protection or animal-rights thing is going way too far. I’m not against ethical treatment of animals but when it starts to impede with human safety, it’s not acceptable. Thanks for a great overview of the case and the pictures. A few years ago, I was driving on the highway at about the same speed as the vehicles in thise case. The car in front of me stopped because of a dog. I rear-ended him. His car afterward looked a lot like the picture in your post. My car was totaled. I was wearing a seatbelt, and the car had an airbag. I broke a rib and got whiplash and some other minor injuries. I also got a ticket for “careless driving” because I didn’t stop soon enough. The other driver did not get a ticket. At the time, I thought the ticket was unfair because HE suddenly stopped. But if he got a ticket, that would have been unfair too. Sometimes accidents happen with no one to criminally blame. If the victims in this case were belted in a car, they would have most likely survived with no long-term disabilities. The statistics for that crash scenario are very favourable. Instead, they were on a motorcycle. Motorcycles are legal. But any motorcyclist knows that they are not as well protected if they crash. When they get on the road, they have made a decision that the risk is acceptable. It doesn’t seem fair that she is headed to jail because the people behind her happened to be on a motorcycle instead of a belted in a car. Her actions, and the degree of recklessness and sheer stupidity of those actions, would be the same. Her intent would be the same. So why is her sentence so much greater?